Best gardening advice on Water Lily Plants, fertilizing water lilies and all you need to know about water lily care to have lots of beautiful flowers and healthy plants. Waterlily plants are a great addition to any water feature. You have seen them in lakes and ponds when you travel, but there is no reason they cannot be added to your home water feature and enjoyed by you and your family. Their big leaves help to shade the pond during the hot summer months. This helps to keep the water temperature down which is critical for the survival of fish since warm water can't hold much oxygen. The leaves also provide shelter for fish from predators like herons. 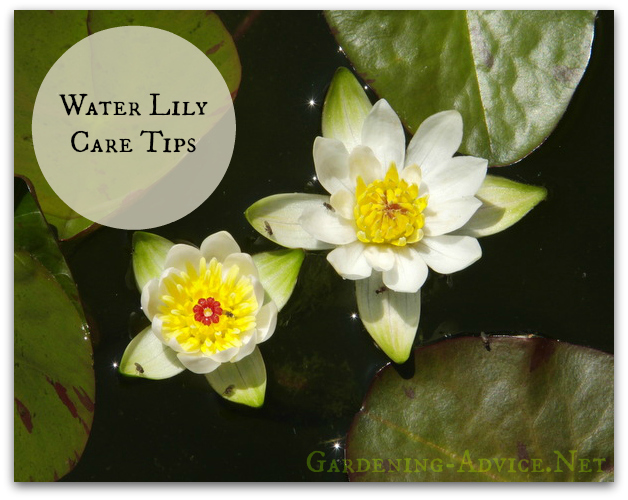 Water lily care varies a lot from the ground grown plants and for obvious reasons. 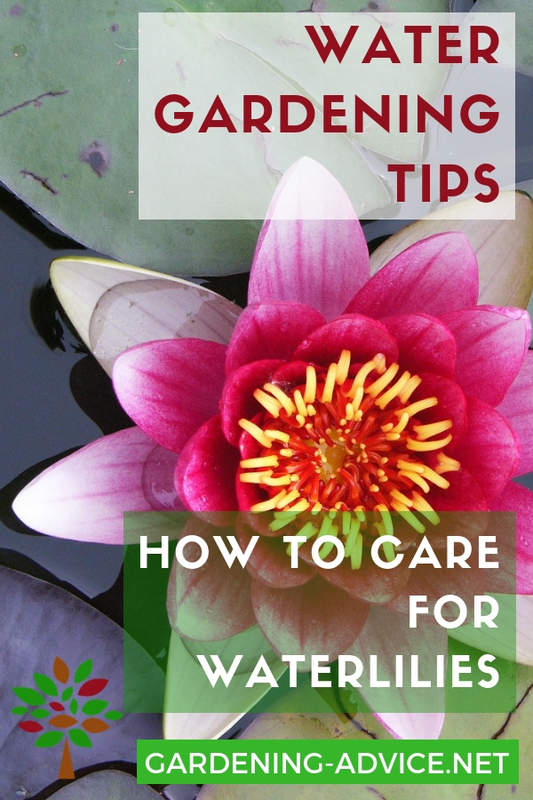 Proper water lily care starts with location. These plants will require a minimum of six hours of sunshine each day. 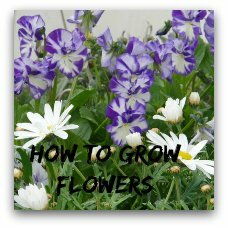 Most of them bloom in the day time when the sun is high and close in the evening as the sun sets and the air cools. Investigating the many different types of water lily plants will introduce you to some that will require a bit less sunlight, but be careful with your choices. 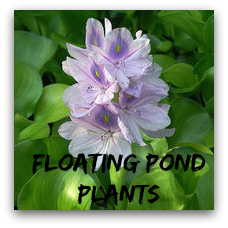 Use caution when you place your water lily plants in your pond or water feature. If you have a fountain in it, you may want to reconsider your choice. 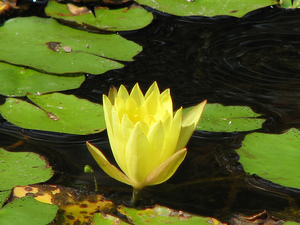 Water lilies do not survive well with fountains or other splashing water. The effect on them is much the same as putting a garden plant in a bucket of water. The stomata on the top of the leaf of the water lily will cause the plant to drown if there is too much splashing water. If the plant does not drown from the water, the increased moisture on the top of the leaf encourages bacterial growth and will have the same effect. Water lily plants will adapt to the water they are in. It is necessary to adhere to water lily care to make the transfer to a deeper water successful. 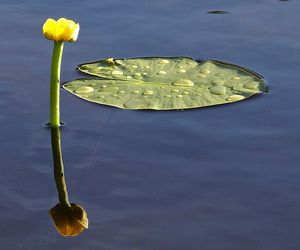 If the plant has already started to open, it will not tolerate deeper water because the stems have lost all elasticity. New leaves, however will adapt. 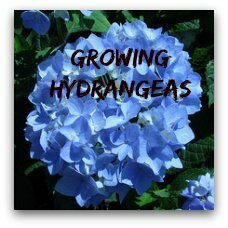 Water plants grow vigorously. Start with a large water plant container, preferably at least 15" round and 10" deep. If you are planting tropical water lilies, use a pot that is 20" in diameter. While a 10 in pot may do well with some of the plants, it will restrict the growth of other water lily plants. Use either aquatic planting media or a poorish, unfertilised garden soil. Too many nutrients in the soil can cause excessive algae growth. Wet the soil well before planting. This will avoid having the roots flow free. The container should be at least 2/3 full. On the hardy water lily plants, check the buds or growing points, (eyes). The rhizome should be horizontal with the eye at the highest point. Having the eye in the middle of the pot will present a much more pleasing look as it blooms. Once your rhizome is properly centered, fill the rest of the pot. More planting waterlilies correctly here! 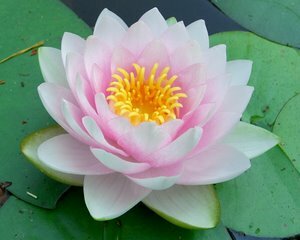 As with any plant, proper water lily care will require feeding. When the water warms and the first leaves have surfaced, it is time to feed. Earlier than this and the algae will thrive, but not your plant. Commercial pond pellets are available and will assist you in having a healthy, beautiful plant. The pellets need to be distributed into the quadrants of the large pot monthly. Be sure to bury the pellet as deeply as your finger allows and cover it up or the pond will be fed instead of the flower. The many shapes of the lily will amaze you. You can find water lily plants that produce round, cup shape, fluffy, pointed or star shaped. The leaves are jagged or smooth, pointed or round. The variety will be determined by the size of your water feature and your own particular style of landscaping. They are a beautiful addition to any vista. Miniature water lilies can be grown in smaller garden ponds or in a pot water garden. They need a minimum depth of 10 - 30 cm. You can choose either Nymphaea odorata minor or Nymphaea pygmaea alba. They both flower white. Hardy water lilies come in red, white, pink, yellow and sunset. They will give you color from April through October. 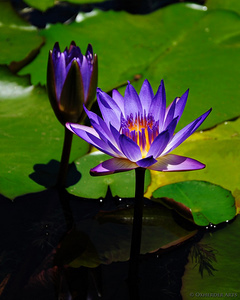 The tropical water lilies have different shape leaves and come in a variety of beautiful colors. The fragrant blossoms rise to the top of the water and stay there throughout the season. The choice for the color and type of water lily plant is yours. 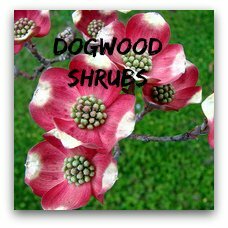 You can accent the colors of your landscaping or give the look of tropical wild flowers. This is the yellow variety Nuphar lutea. These yellow water lilies grow wild in Europe and are only suitable for larger ponds. They need a water depth of 0.5 - 2.5 m.
This is Nymphaea mexicana, the Mexican Yellow Water Lily.